Rooted and grounded in God's Word. Feet firmly planted on the truth. Confident in what we believe, why we believe it and, most importantly, why it matters. 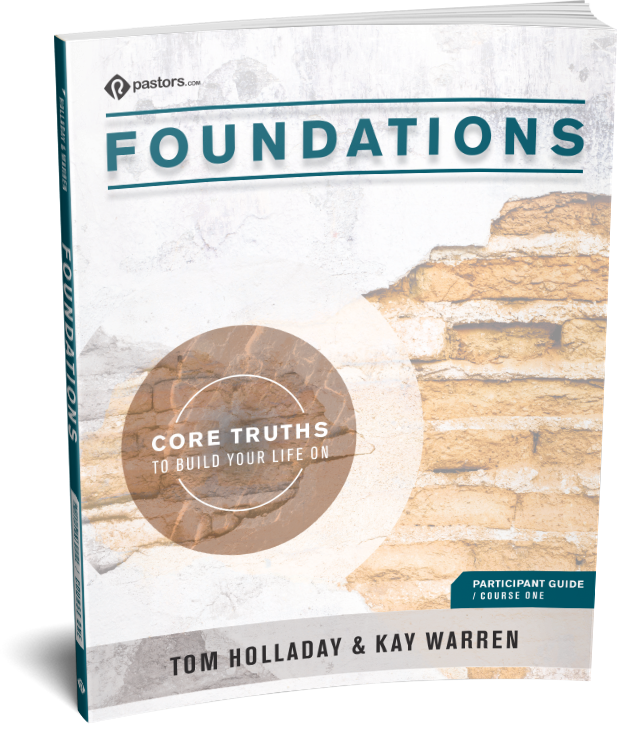 Foundations, taught by Pastor Tom Holladay and other Saddleback teachers, is a step by step approach to understanding the essentials of what it means to be a follower of Christ. Click here to see upcoming in-person classes or watch any session on-demand with the videos below. 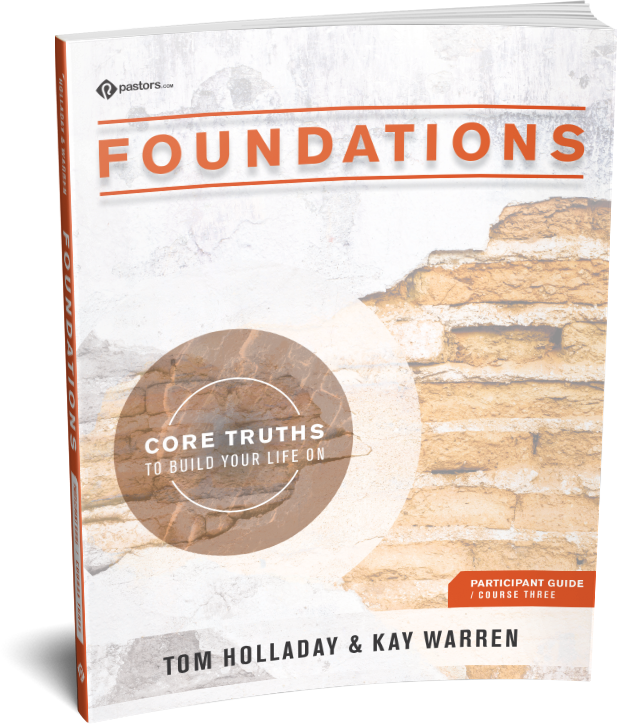 In Course 1 (this first 9 week session) we will cover the first four of the eleven essential truths of Foundations, including topics like Where did we get the Bible and how do I know I can trust it? What is God like? Is Jesus God, a man, or both? Who is the Holy Spirit and what does He do in my life? You may be a mature believer who needs to refresh your mind and heart on these essential truths… you may be a brand new believer desiring to start your faith journey by establishing a strong foundation on God’s Word… or you may not believe at all, but you’re curious. Click below to see upcoming in-person classes. Follow along with the Course Participant Guide. Included are guides for: Introduction, Bible, God, Jesus, Holy Spirit. What does it mean to be a Christian today? Our world is always changing yet the Church has continued to thrive for the past 2,000 years! We will start with the question of origins - Where did we come from? and Why are we here? Next we’ll delve into questions like, What does it really mean to be saved? Can I lose my salvation? How do I grow in my faith? Why do I still struggle with sin? Then we'll take an in-depth look at the Church-How did the church come into being? What is it suppose to do? Click below to see upcoming in-person classes. Follow along with the Course Participant Guide. 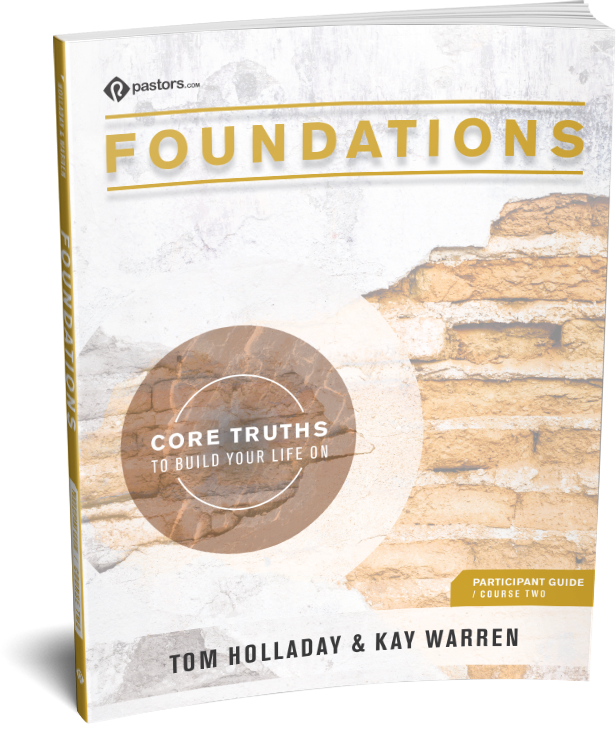 Included are guides for: Creation, Salvation, Sanctification, The Church. Course 3 of Foundations we will look at the Afterlife-what happens to me when I die? Are Heaven and Hell real places? If so, what are they like? Why do good things happen to bad people and bad things happen to good people? If God is good why doesn’t He stop evil? Can God be loving and allow evil? Finally, we will look at what the Bible says about the Second Coming of Jesus Christ, taking a survey approach to various views while maintaining the Big Picture Truth that Jesus is coming again and we need to be ready! No matter where you are in your spiritual journey, we invite you to join us for this life-transforming class. Click below to see upcoming in-person classes. Follow along with the Course Participant Guide. Included are guides for: Good and Evil, The Afterlife, The Second Coming.